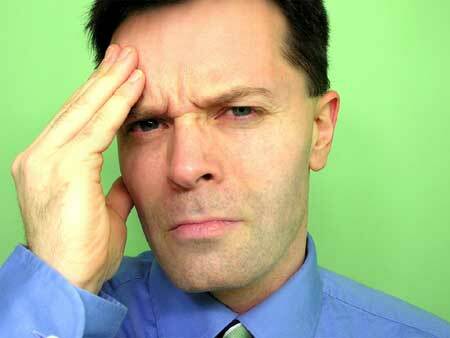 Headaches are one of the most common reasons people visit a doctor in Ireland. The pain that they cause can impact on every aspect of our lives. There are many causes for headaches and migraines, including stress, tension, allergies, dehydration and drops in blood sugar levels. People who regularly take medicines such as aspirin, paracetamol and triptans could be causing themselves more pain and headaches than relief, the UK’s National Institute for Health and Clinical Excellence (NICE) has said. The Irish Times writes, “People who suffer from such headaches could be in a vicious cycle where their headaches are getting worse because of medication overuse and to alleviate symptoms they take more drugs.” Read more. There are other options, however. Headaches will often go away with optimal nutrition. See if you can spot any relationship between the foods you eat and the instances of headaches. Patrick Holford, in his book The Optimum Nutrition Bible, recommends eating little and often, keeping up your fluid intake and avoiding stimulants such as caffeine, sugar and chocolate. For pain relief you can also apply acupressure. I’ll describe a pair of points that you can use. These points will also help with insomnia, tiredness, neck pain, irritability, nervousness, and mental stress. They relieve pain by releasing the body’s natural pain relievers known as endorphins. Below the base of the skull, in the hollows on both sides of the neck, between the two vertical neck muscles. You will feel these large hollows underneath the skull bone, below the occipital ridge between the “traps” (trapezius) and other neck (sternocleidomastoid) muscles. Take a few full, deep breaths, as you press underneath the base of your skull on both sides, about four finger widths – or three inches – apart. Use your thumbs, fingers, or knuckles to gradually apply pressure into the hollows of your skull. Close your eyes as you tilt your head back slowly. Take long, slow deep breaths as you hold for two to three minutes. Direct the pressure slowly and firmly into the center of your head. Acupuncture, by a trained and qualified practitioner, is an even more effective treatment all types of headaches. It offers powerful, lasting relief without the side effects that prescription and over-the-counter drugs can cause. During your consultation, you will be asked where your headaches occur (behind you eyes, your temples, on the vertex, etc), when they occur (night, morning, after eating), the type of pain (dull, throbbing, sharp, piercing, etc). Your answer to these questions will help your practitioner understand the cause of the headache and create a treatment plan specifically for you.